The German Aerospace Center (DLR) is the national aeronautics and space research centre of Germany. Its extensive research and development work in aeronautics, space, energy, transport and security is integrated into national and international cooperative ventures. They approached Novoda to deliver an Android app that can track and measure couriers on cargo bikes, get data of their journey including distance and time. This initiative, named Ich Entlaste Städte (IES), was an experimental project for them to test alternative methods of transport and their effectiveness against environmental pollution. My role on the 6-week project was to work with another designer to define and test the user experience of the app, and lead the creative vision of the product. The DLR team provided us with the backend framework, and through an initial project onboarding with them, we understood their vision of the product. The app was intended to let the participants record their journey while riding the cargo bike, and answer a set of questions at the end of the journey that would help the DLR researchers understand their behaviour. In the beginning weeks of the project, I was heavily involved in brainstorming sessions together with the other designer. Since we had clear specifications and client requirements, it was just a matter of structuring the information architecture of the app, and wireframing various user flows and functionalities. We continued doing this until we were ready to test some of our ideas. We didn’t have a budget or enough time to test our ideas thoroughly, so we decided to test in-house with colleagues from other projects. Obviously, the context wouldn’t be the same as if they were riding a cargo bike, but we took advantage of the resources at hand. I started turning our wireframes into a basic Android user interface, out of which I used InVision to make a clickable prototype. In parallel, we recruited about 10 people from the office and wrote a set of questions that would be asked during the user test. The prototype was uploaded onto an Android device and given to the participant to use. 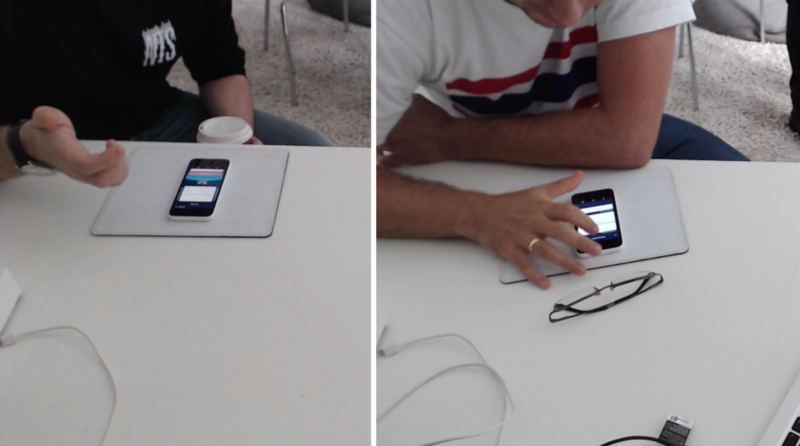 Both the other designer and I joined the testing sessions, with one of us moderating and the other taking notes. We also recorded the session in order to have a way to go back to crucial points of the test and gather insights that might’ve escaped us during the session. From the feedback and insights we collected, we refined the user experience and retested until we reached a good level of confidence. My next responsibility was to use my creativity to define the visual identity of the app. DLR had given us a brand guideline that was used for the campaign of this initiative. I took advantage of Android’s Material Design language to create a user interface that was not only true to Android’s highest standards, but also incorporated and expressed the approachability and fun attitude of IES’ brand identity. After the design phase, there was frequent collaboration with engineers to help them build the user interface as closely as possible to the designs. I was excited to join their development efforts, and in the process, I managed to create a custom UI component for the app. At the time of writing this case study, the app has recorded over 18.000 rides and tracked almost 10.000km! It was a short project, but nonetheless a fun one. Working with a space agency is certainly an achievement, and being given the opportunity to create something functional and beautiful for them was a privilege. I improved my skills in user testing, translating brand identity to an app, and had lots of fun taking part in the development process.